Symbols in six most desired sizes. 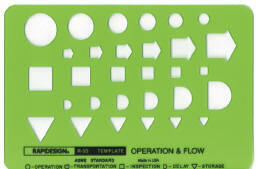 Can be used for operation and flow process charts in factory or office. Size: 3-3/8"x5-1/8"x.030".